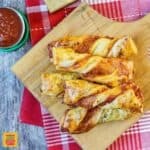 Fall will be here before we know it and these Puff Pastry Pizza Twists are perfect for all things fall such as tasty Back to School lunches and easy Football Party Finger Food! 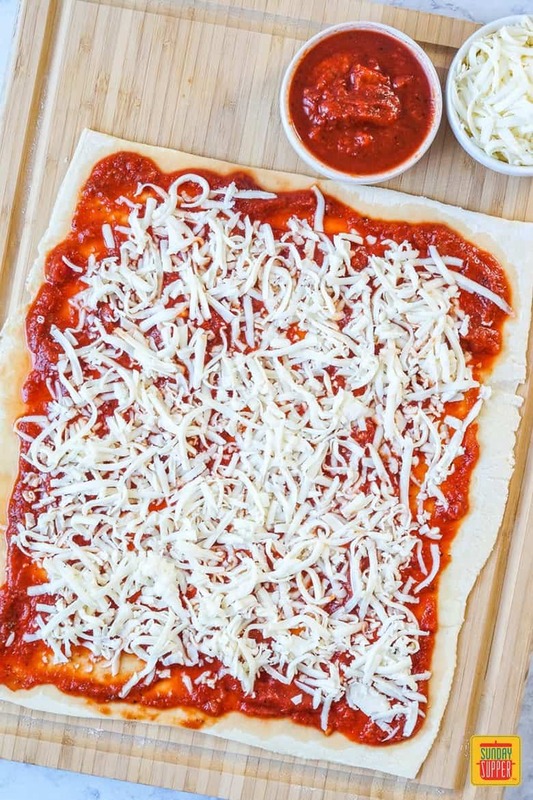 Sheets of puff pastry are filled with a layer of tomato sauce and shredded mozzarella cheese, cut into slices, then twisted and baked until golden. Pair with a tomato dipping sauce for a fun Kid Lunch Idea for School. When my son started Kindergarten last year, I made his lunch every morning. About two months in, he asked if he could take a tray. At first, I was slightly offended. After some more questions, I figured out he only wanted a school lunch because the cafeteria served ice cream on certain days. For the rest of the school year, I let him take a tray lunch once a week. We would look at the lunch menu the weekend before so he could pick which day he wanted. Pizza Stick Day soon became his favorite. He thought dipping the pizza in sauce was the coolest thing ever. So when I asked him what I should make for Kid Lunch Ideas for School, he immediately said Pizza Sticks. I decided to have a little fun with it and make these Puff Pastry Pizza Twists. Using puff pastry as the base, I brushed a thin layer of tomato sauce over the top of one sheet and topped it with shredded mozzarella cheese before covering with the other puff pastry sheet. The top is brushed with an egg wash and seasoned with freshly grated Parmesan cheese and dried oregano, then cut into strips. I gently twisted each stick and placed them an inch or so apart on lined baking sheets to bake until puffed and golden. 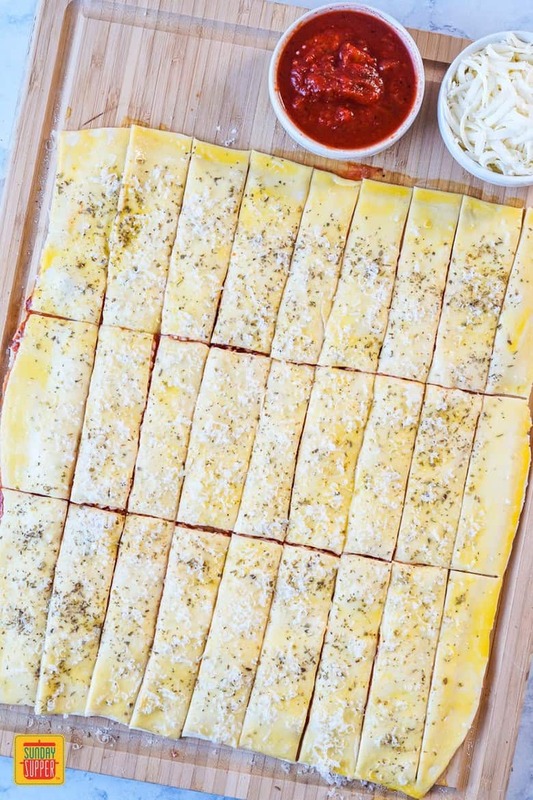 Want to make the Puff Pastry Pizza Twists ahead of time? They can easily be assembled and twisted, then frozen in a single layer on a baking sheet before transferring to a freezer bag. Bake in the oven straight from the freezer until cooked through and golden. 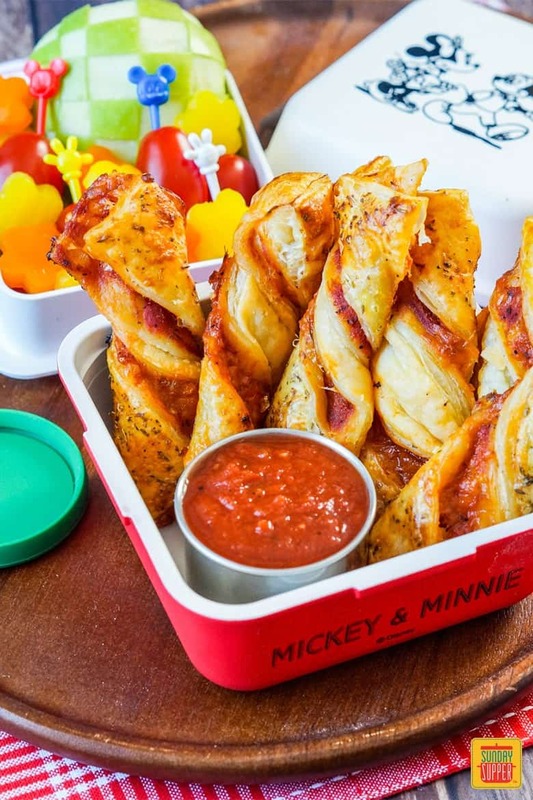 I used puff pastry sheets to make these Pizza Twists, but they would also work with will pizza dough. For frozen puff pastry, allow to defrost at room temperature for about an hour before using to make it easier to roll and twist. I filled the Pizza Twists simply with tomato sauce (your favorite store-bought or homemade) and shredded mozzarella cheese. Do not use the balls of fresh mozzarella. They have too much moisture. I used the firm low-moisture mozzarella. Want some variety? Add in some diced bell peppers, mushrooms, pepperoni, or sausage along with the cheese. This is a great recipe to make with the kids, but it will definitely get messy. Be careful to only add a thin layer of tomato sauce to the puff pastry or it will end up leaking out everywhere. I served these Pizza Twists in a bento with half of an apple, grape tomatoes, and bell peppers (cut into small flowers with vegetable cutters). 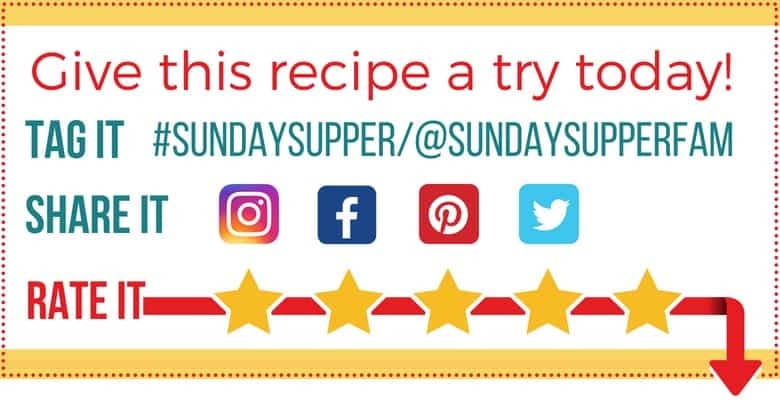 Looking for more Kid Lunch Ideas for School? Fall will be here before we know it and these Pizza Twists are the perfect start for Back to School. Sheets of puff pastry are filled with a layer of tomato sauce and shredded mozzarella cheese, cut into slices, then twisted and baked until golden. Pair with a tomato dipping sauce for a fun Kid Lunch Idea for School. Preheat oven to 400˚F and line two baking sheets with parchment or lightly grease. On a lightly floured surface, roll the 2 sheets of puff pastry into smooth, equal rectangles. Brush the tomato sauce over the top of one of the puff pastry sheets, leaving a 1/2 inch border around the edges. Sprinkle evenly with the shredded mozzarella. Top with the other sheet of puff pastry. In a small bowl, beat together the egg yolk and water. Brush over the top of the puff pastry. Evenly top with the oregano, garlic powder, and grated Parmesan cheese. Cut the sheet lengthwise into 9 equal long strips, then cross-wise twice to cut the strips into thirds to make 27 small sticks. Twist each stick gently while holding the two sheets together and place on the prepared baking sheet. Bake in preheated oven until puffed and golden, about 15-20 minutes. Serve with additional tomato sauce for dipping.